Grammarian; lived in Lithuania at the end of the eighteenth century. He was the author of "Ṭa'ame Torah" (The Accents of the Law), which forms the second part of a treatise of his on grammar. This work was published at Wilna in 1822 by his brother Meïr, who added to it an essay of his own, entitled "Ṭa'ame 'Elyon," containing a defense of the Law. 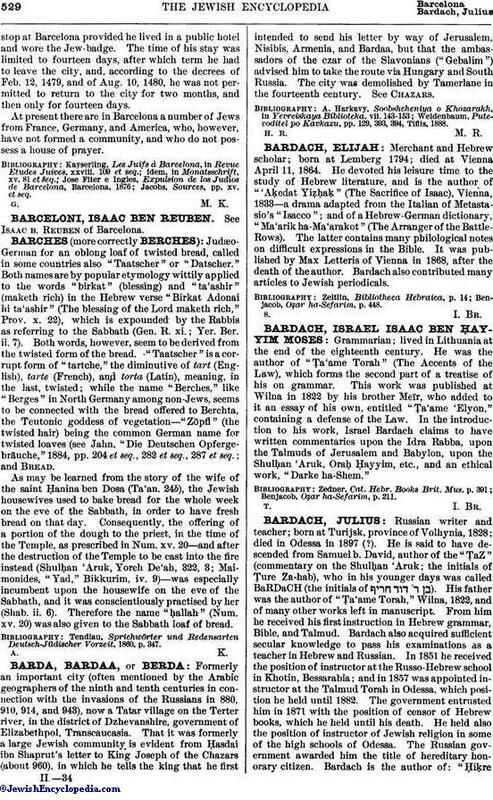 In the introduction to his work, Israel Bardach claims to have written commentaries upon the Idra Rabba, upon the Talmuds of Jerusalem and Babylon, upon the Shulḥan 'Aruk, Oraḥ Ḥayyim, etc., and an ethical work, "Darke ha-Shem." Benjacob, Oẓar ha-Sefarim, p. 211.